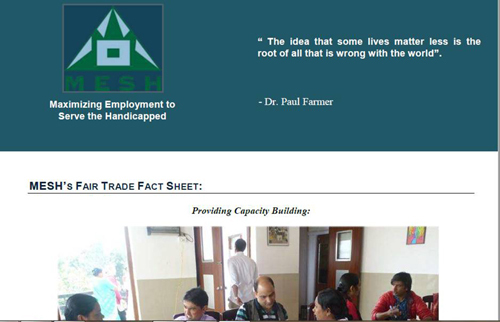 In this series of Fair Trade Fact Sheets we are providing details of what is required for a fair trade organisation to be complying with the WFTO Ten Principles of Fair Trade. This fact sheet is looking in more detail at the principle addressing the issue of good working conditions. We are posting here links to this fact sheet in Hindi and English and we have been circulating these to our producers. Please feel free to use these in your own groups but kindly acknowledge MESH.